The very complex nature of the modern Timpani and Percussion environment demand an extensive and well balanced curriculum so that students may experience and study as much related material as possible as well as to formulate a focused approach towards appropriate progress during the 1 or 2 year course. The RCS is fortunate to have many of the very finest professional performers and very experienced educators to deliver this curriculum whilst inviting a number of professional visiting artists to insure an open-minded approach with regard to technique, style in performance and presentation. An end of year exam is designed to perform a comprehensive test of the student’s ability on all aspects of post-grad. studies undertaken and will be conducted in as professional audition like a manner as possible. This practice intends to familiarise students with professional audition procedure. Pieces to be auditioned will be made known to the student 4 weeks prior to the exam. Whilst having full regard to the declared aims of the program, both in the departmental Handbook and the MMus Program Handbook, on rare occasions a student may express the wish to desire specialisation in either Timpani or Percussion only. This will require the agreement of both principal study tutors and the endorsement of the Head of Department before the request for such a course amendment can be forwarded to the Head of Postgraduate Programs for consideration. If approved, the credit ratings and one-to-one lesson allocation previously attached to the discipline to be voided will then be added to the specialisation discipline(s) in direct consultation with the tutors concerned leaving the overall Principal Study Credits as before. The student should also be aware that his/her “Final Recital and Exam will need to reflect such specialisation. When specialising in Percussion only, a student may also choose to enhance either Drum Set or Marimba within the (Percussion only) discipline. The credits made available from the Timpani part of the principal study course element will then be proportionally distributed to reflect this as well as the contact time. A Timpani only specialisation will also mean a further enhancement of the Baroque Timpani discipline. The credit distribution and contact time will be appropriately adjusted to reflect this type of specialisation . A Marimba only specialisation is also available at M. Mus level for which a mutually agreed learning contract will be negotiated. This vocational programme attracts only the most dedicated and motivated students. Taught by a faculty of specialists, educationalists, and Principal players from professional orchestras, it offers training in the multiple disciplines of modern Timpani and Percussion. 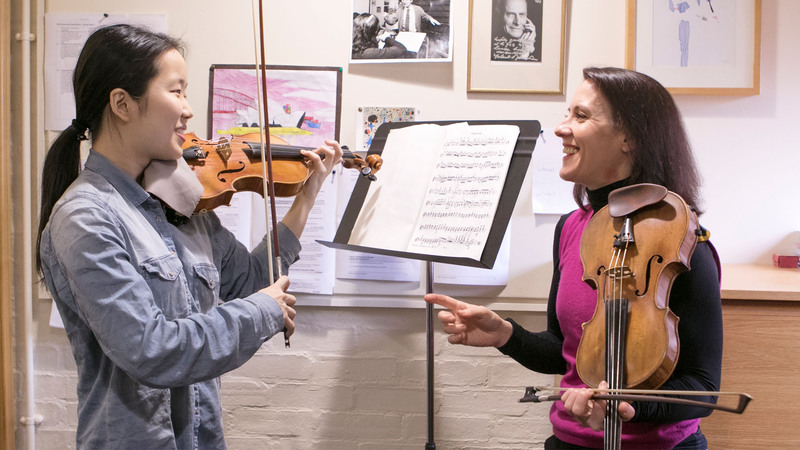 Our three large studios are furnished with the highest quality instruments for your study, practice, and performance, and are now in such plentitude that there’s never a shortfall. Although tuition is directed towards orchestral repertoire, we’ve developed well-established traditions of solo performance and also offer a Solo-Marimba provision. Entrance Audition requirements will only be in the chosen Specialism. MMus students study the full MMus programme in all other respects. The weekly 90 minute one-to-one lessons are given by highly reputable professional performers and are enhanced by repertoire classes, and specialized individual and class tuition in Latin American, Ethnic Percussion, Drum-Set, and Baroque Timpani. International artists also come to the Conservatoire to give clinics, workshops, and masterclasses. Recent examples have included Dame Evelyn Glennie, Colin Currie, Sam Walton, Birger Sulsbrück, Leigh Howard Stevens, Eric Sammut, Jasmin Kolberg, David Searcy, Simon Carrington, Keith Aleo and Neil Grover, and Neil Percy amongst many others. We also welcome our distinguished International Fellows several times a year to work with students. Recently Chris Lamb, International Fellow in Timpani and Percussion, gave a series of masterclasses via a live link from the Manhattan School of Music in New York. Now this state of the art equipment is in place we’re looking to develop similar opportunities in future years. We also work twice a year with Eric Sammut, International Fellow for Marimba, who also has charge of our annual departmental concert in April. Involving every student on the programme, he devises the repertoire, takes rehearsals, and often plays alongside the students in performance. At the Conservatoire our ensembles provide performance experience in Symphonic, Chamber, Opera, Wind Orchestra, Brass, and Big Band repertoire and often percussion students are approached by other students to play in their final year recitals. There are also opportunities to collaborate with other programmes and recent examples include Musical Theatre and contemporary music projects. Percussion students are the most enthusiastic self-generated collaborators and there are endless possibilities for collaboration with other students. Based in Glasgow, you’ll benefit from studying in a major city of culture with a pool of orchestral opportunities. 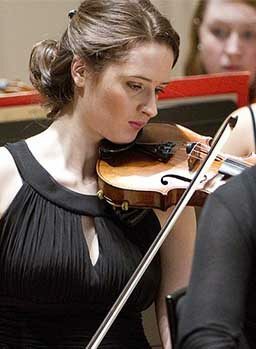 The Conservatoire runs a professional concerts agency which offers numerous opportunities for paid work across Scotland. We also operate a number of side-by-side schemes with professional orchestras where you can experience the realities of the working world. You’ll be given feedback as to how you were perceived by other players, often resulting in further paid work. We’re delighted that five of our former graduates have been appointed to professional positions at home and abroad. Thanks to the very generous support of the Yamaha Company, an annual Yamaha-Percussion-Scholarship of £3,000 will be awarded to one of the Department’s qualifying students. We also wish to recognize the support of the Avidas Zildjian Company with thanks. Specialised individual tuition in Latin America, Ethnic Percussion and Drum Set. Although tuition is directed towards orchestral repertoire, we’ve developed well-established traditions of solo performance and also offer a Solo-Marimba provision. The department tutors include principal players from the UK’s leading orchestras, as well as leading specialists, all of whom are active at the highest professional level. The Department occupies 3 large Studios, one designated “Marimba only Room” and a lock-up facility at Concert Hall Stage Level where a set of 4 Timpani and chair, 1 Bass Drum and a set of Tubular Bells are housed for use and easy access to the Concert Hall Stage. Each Studio is fully equipped with 1 set of 4 Timpani + piccolo and Timpani Chair, one 5 oct. Marimba, one 4oct. Xylophone, one Pedal Glockenspiel, one Vibraphone. All tuned instruments are height adjustable. One Drum set, multiple orchestral Snare Drums. Tom Toms and a large variety of very high quality Hardware plus Bass Drums, Tam Tams etc. The Department may not have a thunder-sheet, an anvil or a wind-machine but everything else is available in sufficiently large quantities to service all arising needs. In preparation for your professional career, our Timpani and Percussion department provides excellent facilities for study, practice, and performance. These include three large dedicated studios with a full and plentiful range of the highest quality instruments. You’ll have weekly one-to-one lessons with renowned professional performers, enhanced by repertoire classes, as well as specialized individual and class tuition in Latin American, Ethnic Percussion, and Drum Set provided by six visits per academic year for two days each. Although tuition is directed towards orchestral repertoire, we’ve developed well-established traditions of solo performance and also offer a Solo-Marimba provision. We welcome artists from around the world to give clinics, workshops, and masterclasses, and recent visitors have included Dame Evelyn Glennie, Colin Currie, Sam Walton, Birger Sulsbrück, Leigh Howard Stevens, Eric Sammut, Simon Carrington, Keith Aleo and Neil Grover, and Neil Percy amongst many others. The Timpani and Percussion department has a long-established tradition of producing graduates who hold prominent positions both in the UK and abroad. Here’s a short film we made to introduce our Master’s programme in Marimba, led by world-renowned marimba soloist Eric Sammut. Students will work within the Timpani and Percussion department of the Royal Conservatoire of Scotland, specialising exclusively in marimba. The interview will assess the candidate’s suitability for the programme in terms of knowledge, experience and commitment.